It has come to the attention of myself and several other Hyper-V MVPs that people are having a nightmare searching for the download ISO for Hyper-V Server 2012 R2. I’ve verified the problem on Bing and Google and Microsoft are aware of the issue. 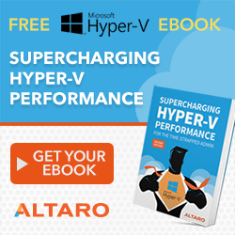 In the meantime you here is the download page for Hyper-V Server 2012 R2.